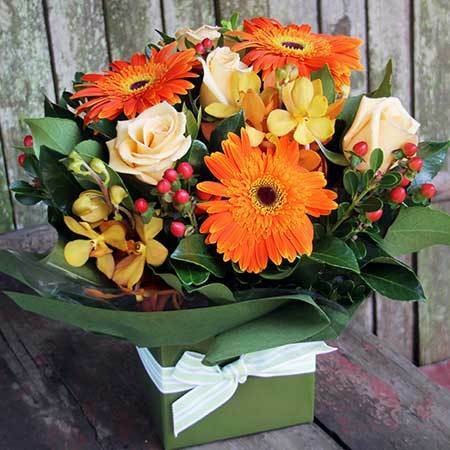 This boxed arrangement of fresh flowers in Autumn tones is one of our best sellers. 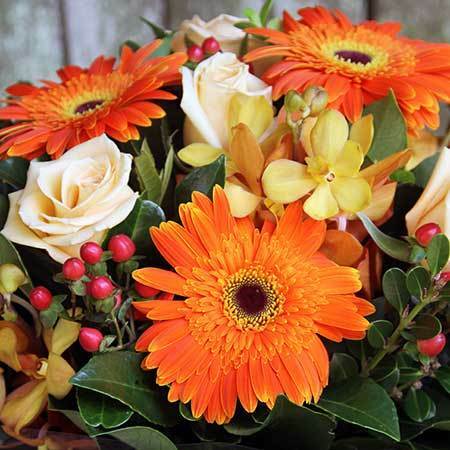 A gorgeous combination of orange vanda orchids, pale apricot roses, deep orange gerbera daisies and seasonal berries designed by our talented florist team is both beautiful and great value! To send flowers, simply place your order via our online florist shop, email us directly at sales@flowersforeveryone.com.au or give the team a call toll free on 1800 66 66 46.